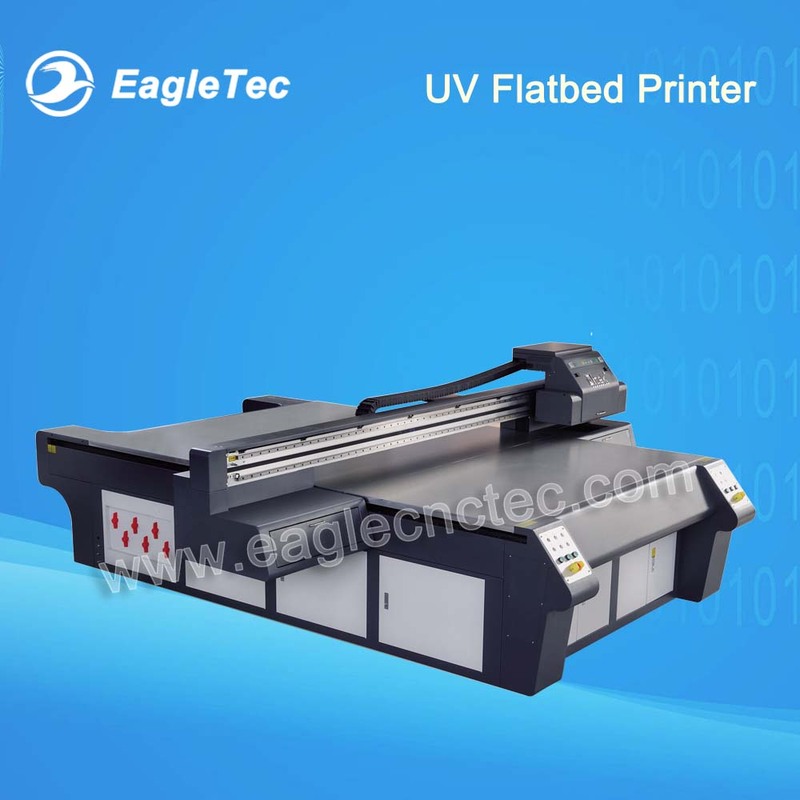 Brief: the flatbed printer for sale here is UV2030S from EagleTec. Max. Printing size is 2000x3000mm; printing with UV ink, equipped with Japan SPT1020GS nozzle. Can do UV printing on plastic, acrylic, glass, ceramic tile, metal, wood, foam etc. Adopt Japan-imported industrial printer head SPT 1020GS; 8 nozzle printing suits high-speed, high-quality industrial production needs. Printing speed can be up to 16~25 sqm/h. Vacuum platform divided into 6 zones, convenient for small size material holding, and save energy-consumption. Intelligent white ink automatic circulation system, can effectively avoid white ink precipitation. The design of double linear guideways greatly improves the accuracy and stability of machine operation. To get the latest UV flatbed printer price, please inquire now.